We are pleased to pass along even more American Express Cobalt Multiplier updates thanks to the Rewards Canada community! We also learn from k12333 that it appears Ritual has been fixed and is awarding 5x points now instead of 1x points. Locations from Toronto, Mexico and Guadeloupe have been added in this update! 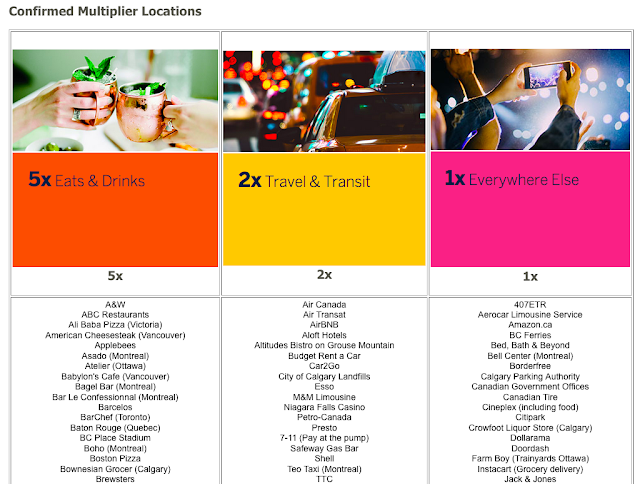 Visit the American Express Cobalt Card Confirmed Multiplier Locations here. TAP Portugal looks to have extended their double Miles&Go miles offer on all their flights. This includes their Toronto flights and they'll award double miles for bookings made by the end of February for travel until March 30. Find out more here.